Deciding you’ll vacation in North Carolina is easy. Narrowing down the list of places you want to visit, however, might be tough. 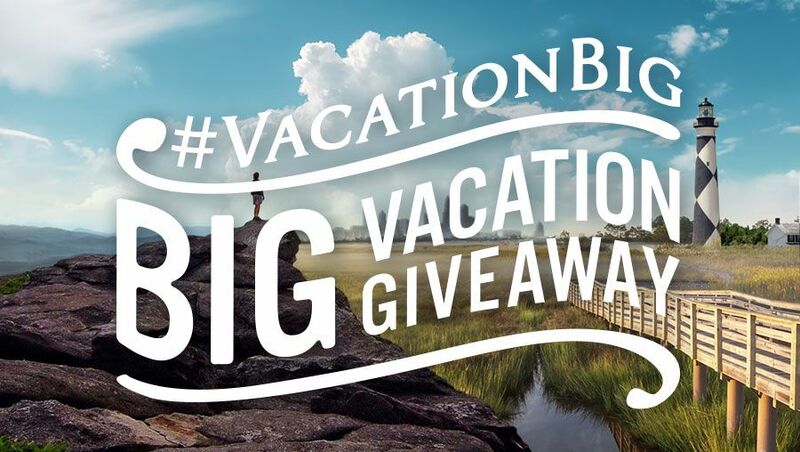 With the #VacationBIG Big Vacation Giveaway, you don’t have to! We built the ultimate vacation with 22 stops stretching from our majestic mountains to our pristine beaches, and gave this grand prize away on Twitter. While the sweepstakes has ended, you can still use the destination stops below as inspiration for your own big vacation. How will you #VacationBIG? This stop unlocked by @balbert86. You won’t go hungry in Asheville — runner-up in Livability.com’s 2014 Top 10 Foodie Cities contest — or run out of things to do. Its breathtaking Blue Ridge Mountain setting is perfect for hiking outside of town and downtown, where you'll find unique shops such as the Antique Tobacco Barn. Its 77,000-square-feet of treasures are perennially voted the region’s best. Prize courtesy of the Aloft Asheville Downtown. This stop unlocked by @cf4sims. North Carolina has the most craft breweries in the South. Beer is especially big in Asheville, a four-time Beer City U.S.A. winner. 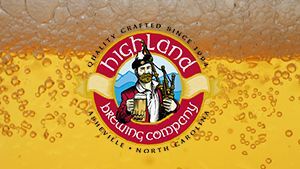 Most breweries offer tours, events and tasting rooms, where you can sample seasonal offerings, such as Highland Brewery’s Cold Mountain Winter Ale. While its changing recipe has included vanilla and cinnamon, it always sells out quickly. Prize courtesy of Highland Brewing Company. This stop unlocked by @NovaScotTia. 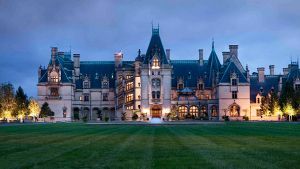 You can experience the early 20th-century life of one of the country’s wealthiest families at Biltmore. Tours go from rooftop views of Asheville’s surrounding mountains and estate gardens, including one with more than 250 varieties of roses, to the basement, where innovations, such as mechanical refrigeration, were first used in the U.S. Extend your visit at Biltmore’s winery, inn or restaurants. Prize courtesy of the Biltmore. This stop unlocked by @OBXfans. Ride the rails the region’s pioneers did on the Great Smoky Mountain Railroad. You’ll roll past 53 miles of breathtaking views from open-air or climate-controlled cars, featured in the blockbuster The Fugitive. Excursions last a few hours or all day and take you to Fontana Reservoir and Nantahala Outdoor Center’s rafting, zip lines and other outdoor adventures. Prize courtesy of the Great Smoky Mountain Railroad and Swain County Chamber of Commerce. This stop unlocked by @danieldmorris11. Three-tiered Linville Falls may be the most photographed North Carolina waterfall, but aggressive topography gives Transylvania County the most — 250. It’s home to towering Whitewater Falls, the tallest east of the Rocky Mountains, and Sliding Rock, a natural 60-foot waterslide. You’ll find more waterfalls in Gorges State Park, one of the state’s newest. Prize courtesy of the Headwaters Outfitters and the Land of Waterfalls. This stop unlocked by @shevais. 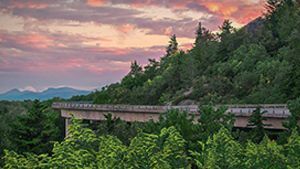 More than half of the Blue Ridge Parkway is in North Carolina. 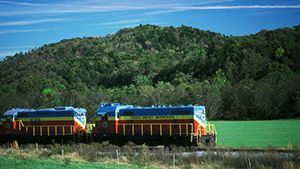 It passes Mount Mitchell, the East’s tallest peak; crosses Linn Cove Viaduct, an engineering marvel; and offers mountain views that can’t be topped. Along the Parkway you’ll find endless experiences, including museums such as Flat Top Manor, a past textile magnate’s mansion that now showcases regional crafts. This stop unlocked by @momogeorge. North Carolina is synonymous with quality furniture. 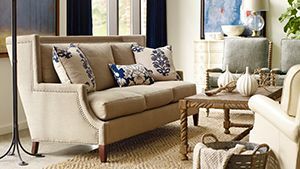 While industry executives head to High Point Market, savvy shoppers choose 1-million-square-foot Hickory Furniture Mart, where 100 retailers offer discounts on more than 1,000 brand names such as Drexel Heritage, a furniture-maker that started 20 miles away. If you get overwhelmed, interior designers are onsite to help select the perfect pieces. Prize courtesy of Hickory Furniture Mart. This stop unlocked by @fcburges. It's not all nine-to-fives and ties in Charlotte, a global banking center. 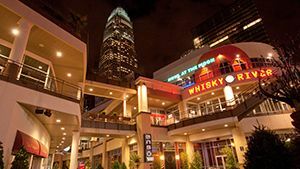 You can eat, catch an NFL or NBA game and dance at NASCAR superstar Dale Earnhardt Jr.'s Whiskey River at Uptown's EpiCentre. 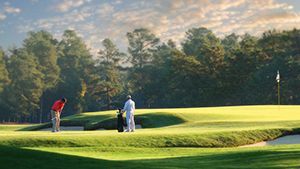 Switch gears and unwind in a Queen City suburb with a visit to Huntersville on Lake Norman or Play the Golf Club at Ballantyne, a Golf World Top 50 Golf Resort. Prize courtesy of Aloft Charlotte Uptown at the EpiCentre. This stop unlocked by @MarilynBostick. 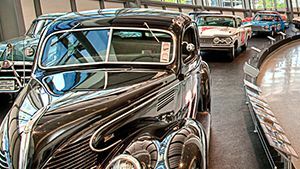 A visit to Charlotte’s NASCAR Hall of Fame is anything but idle. Walk Glory Road to experience racetrack banking, learn about race-car development and meet the sport’s best. Put your skills to the test when you try to change a tire in a simulated pit stop or take the wheel in a racing simulator, which uses iRacing.com software to exactly replicate NASCAR-sanctioned tracks. Prize courtesy of the NASCAR Hall of Fame and the Charlotte Regional Visitors Authority. This stop unlocked by @hobbyberries. 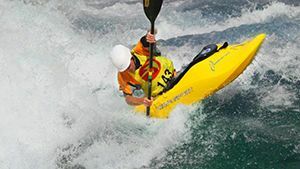 Raft the world’s largest artificial whitewater river or flatwater paddle the Catawba River at the U.S. National Whitewater Center in Charlotte. Stay dry at its restaurants, concerts, mountain-biking trails and rope courses. If those haven’t taken your breath, try Mega Zip, a zip line that stretches 1,123 feet across the rapids. Prize courtesy of the U.S. National Whitewater Center and Charlotte Regional Visitors Authority. This stop unlocked by @sara_harkey. Soil and sun make the Yadkin River Valley perfect for grape growing. 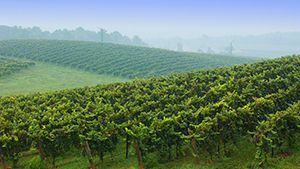 You can taste the results along the 36-winery Yadkin Valley Wine Trail. These award-winning winemakers are passionate about their vintages and protecting the valley’s environment. JOLO Winery, for example, composts its clippings and uses ordinary baking soda and hot sauce as pesticides. Follow your tasting with a round at Cedarbrook Country Club. Prize courtesy of Brushy Mountain Winery, JOLO Winery, Grassy Creek Vineyard & Winery, Shelton Vineyards, Cedarbrook Country Club and Very Surry. This stop unlocked by @katiegriffin16. The Pinehurst area's reputation for golf is known worldwide. Tee up at Pinehurst Resort’s legendary No. 2 golf course, Legacy Golf Links — 2014 National Golf Course Owners Association Course of the Year — or any of the other 40 or so courses nearby. Frederick Law Olmstead, who landscaped Biltmore, mapped the village’s shaded streets, which are lined with shops and restaurants. Prize courtesy of the Pinehurst, Southern Pines, Aberdeen Area Convention & Visitors Bureau. This stop unlocked by @KristinTaber. The state’s second-largest city is more than a capital. Raleigh is home to James Beard Award-winning cuisine and part of Tobacco Road, the most-storied rivalry in college sports. 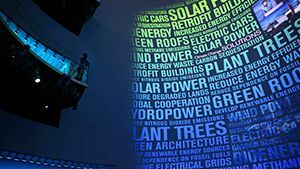 You’ll also find the state Museum of Natural Sciences there. It displays more than 1,000 live animals and a host of hands-on exhibits, making it the South’s largest. Prize courtesy of the Fairfield Inn & Suites Crabtree Valley and Greater Raleigh Convention and Visitors Bureau. This stop unlocked by @CLChild. 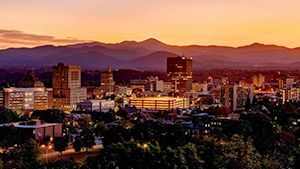 North Carolina’s musical heritage includes jazz saxophonist John Coltrane, banjo-picker Earl Scruggs, The Avett Brothers and 10 American Idol finalists. The International Bluegrass Music Association will salute that legacy this fall, when its annual conference visits Raleigh. 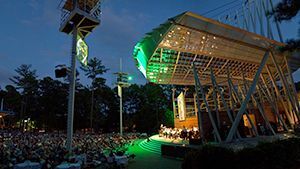 Hear it yourself at venues statewide, including Cary’s Koka Booth Amphitheatre, home to the North Carolina Symphony’s Rex Healthcare Summerfest Series. Prize courtesy of the Koka Booth Amphitheatre and Greater Raleigh Convention and Visitors Bureau. This stop unlocked by @terry_caulfield. 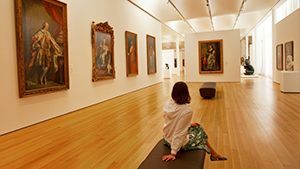 North Carolina Museum of Art’s collection spans from ancient Greek sculptures to 20th-century American art and includes a complete set of James Audubon’s Birds of North America prints. The museum’s 164-acre art park in Raleigh, where you can walk two miles of trails, is the largest of any U.S. museum. Prize courtesy of the North Carolina Museum of Art and Greater Raleigh Convention and Visitors Bureau. This stop unlocked by @kendid1. No one serves farm-to-table dining like Kinston, located in eastern North Carolina’s rich farmland. PBS star and chef Vivian Howard prepares regional dishes — such as barbecue with vinegar-based sauce — with innovation and sustainability at Chef & the Farmer. Mother Earth Brewing sells spent grains as livestock feed and will soon flavor its craft beers with local hops. Prize courtesy of the Kinston-Lenoir Chamber of Commerce. This stop unlocked by @SueTarkens. New Bern, with more than 150 sites on the National Register of Historic Places, is a coastal history hub. 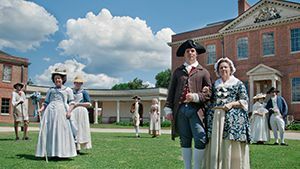 Learn about its settlers, Civil War battle and early statehood at Tryon Palace, which has acres of buildings, exhibits and re-enactors. Head downtown for the story of Pepsi-Cola, invented in 1898 at a pharmacy that’s now a museum. Prize courtesy of Tryon Palace. This stop unlocked by @EngelWX. Enjoy 85 miles of peaceful beaches along the Crystal Coast. 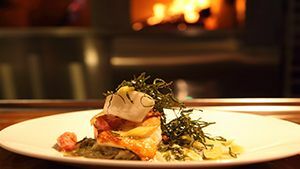 Its restaurants, such as T&W Oyster Bar, serve the freshest seafood. Introduce yourself to the state’s aquatic creatures at North Carolina Aquarium at Pine Knoll Shores. Watch offshore anglers show off their catches on the Morehead City waterfront. Historic Swansboro, filled with shops and restaurants, is perfect for strolling. 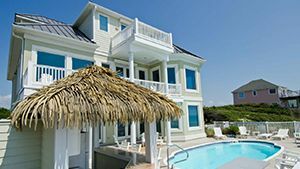 Prize courtesy of Bluewater Vacation Rentals. This stop unlocked by @JackandCigar. Each of the five Outer Banks lighthouses has a unique story. 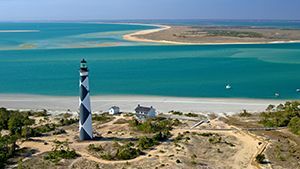 Take the one maintained by the National Park Service at Cape Lookout, for example, which welcomes you to the top for almost unlimited coastal views. Its painted pattern serves daytime navigation — the black diamonds point north and south — and its light was removed and hidden during the Civil War. This stop unlocked by @MommapudDing. For more than 400 years, the Outer Banks has been home to wild horses. Some of them are in a National Park Service exhibit on Ocracoke and among the beach homes in Corolla. 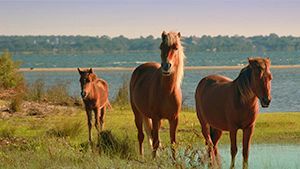 You'll need a boat to see the rest on Shackleford Banks, where a herd of about 100 gallops through unspoiled barrier-island habitat. This stop unlocked by @Mikeyef. There’s more to do on the Outer Banks surf than swim and fish. Cape Hatteras is a top surfing site. Add altitude to your adventure with kiteboarding. 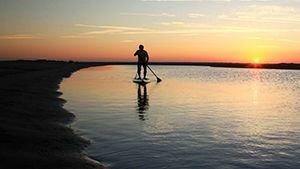 Or use a kayak or stand-up paddleboard to glide through estuaries and sounds. You’ll see amazing wildlife, including bald eagles at Kitty Hawk Woods Coastal Reserve, one of the last maritime forests. This stop unlocked by @wilhitephoto. 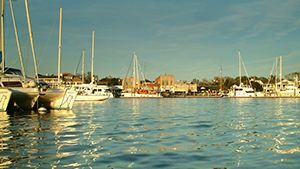 BudgetTravel.com named it one of America’s most beautiful hidden gems, but Nicholas Sparks fans will know Beaufort from the bestselling author’s A Walk to Remember and The Choice, both of which were made into movies (The Choice is due in theaters February 2016). Sample the inspiration he found at the waterfront, Intracoastal Waterway and Historic District, where the state’s last wood-frame English Circuit courthouse stands. Prize courtesy of Hungry Town Bike Tours.